Once upon a time there were 3 little pigs. The first little pig built his house out of straw. And the wolf came along and huffed and puffed (a little bit) and blew his house down. And … that was the end of the first little pig. The second little pig built his house out of sticks. And the wolf came along and huffed and puffed (a little longer), and blew his house down. And … that was the end of the second little pig. And the wolf came along and huffed and puffed but he could not blow that house down. So he decided to come down the chimney. But the third little pig could still think! He put a pot of water on to boil, and when the wolf came down the chimney the third little pig had wild caught wolf stew. The moral of the story?! Build your house out of bricks. We can’t rebuild the structure of our bodies after they have been built so we highly encourage you to nourish rather than merely feed your children, even before they are conceived. How? Nourish yourself before you get pregnant with this recommended diet. As we build our bodies, what is the difference between straw, sticks and bricks? Most processed commercial fast food vs.
Trans fat, processed hydrogenated margarine vs. Butter, virgin coconut oil, organic animal fat, such as these coconut oils via our Amazon affiliation: Artisana, Garden of Life and Barlean’s. Processed seed oils, corn, cotton canola, soy vs.
Organic seeds, cold-pressed virgin oils, such as olive oils like Bariani, Wilderness Family Naturals, Zoe, Kevala and Bragg. Sugar, High Fructose Corn Syrup, (processed and GMO) vs.
Soaked un-steamed dates, unheated honey such as YS Organic Bee farms, Wholesome Sweeteners and WeeBee. Unprocessed fresh or dried stevia leaf such as Frontier, Nature Products and Organic Traditions. Organic heirloom soaked/sourdough, often gluten free such as Pure Living Liv Organic sprouted buckwheat flour. Unprocessed salt from clean sources such as The Spice Lab Himalayan Salt, Celtic Sea Salt and Real Salt. Wild caught smaller fish, low on food chain, such as canned sardines, tuna and mackerel via our affiliation with Vital Choice. 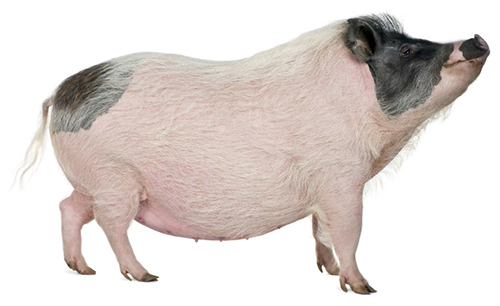 This content was created by one of our supporters: Mrs. Olive Kaiser http://theglutensyndrome.net/3pigs.pdf Thank you so very much for this contribution to us all! Learn more about how to implement a diet that builds a house of bricks in our First Steps Guide. See related post: The Teeth Tell The Tale and share this “cautionary tale”! Please add your testimonial of support for the benefits of a house build of brick! Wow, great list – thanks! I am grateful to Olive Kaiser who shared it with us! I could live with peace of mind if I knew then what I know now…..I don’t blame myself for my 2 boys Autism diagnoses, but I’d feel better personally if I’d been building these blocks pre-conception. Standard ASD then, but everything’s different now! Hindsight is 20/20 for sure. Thanks, Jamie – as Maya Angelo has said — when you know better, you do better. Even then, there are few of us who do so 100% of the time! Welcome home, Jamie! I hope it will be of value to your clients! Thanks, Renee, for this response … have you seen these other posts of encouragement? YES I have :) Thank you! My girls have known nothing but raw milk since weaning, have never gone a day without an egg yolk since they were 4 months, and I hear my 2 year old giving her babies their “cod wiver oil” all the time ;) Such a contrast to how I grew up! I have felt alone at times but it truely CAN be done! I had a conversation with my Dad not long ago as I was giving my girls their Kefir smoothies for breakfast and I was explaining the importance of cultured foods. He said “we thought we were feeding you kids healthy when we bought the fruit drink with 25% fruit juice”. I grew up eating margarine, drinking “fruit” drink, and eating a bowl of processed cereal every day for breakfast. I am sure it is why my endocrine system is so screwed up now, although it is slowly healing. Now I have a 2 year old whose favorite foods are duck rillettes and salmon roe. What a contrast! The three little pigs story is brilliant. My mom built me with bricks and I’ve never had cavities, conceived immediately and carried and delivered my son with ease. These dietary principles aren’t a passing fad. They nourished humans for thousands of years. The science is supportive but the history is what seals it for me. Sahara, I love your name! I have been in the Sahara in Morocco … in any case, I am with you – the history is compelling, which is why I am also drawn to Traditional Chinese Medicine and Yoga, with thousands of years of practice. I have suffered from gluten, corn, soy intolerance and dairy allergies, depression, migraines, anxiety, general malaise. After making the choice to change my eating habits, I was fortunate to conceive easily, and have a very easy, healthy pregnancy–besides the nausea. And a FAST, water birth. Oh, and please check out my blog! right now I’m writing about motherhood, but I want to start incorporating ideas from Nourishing Traditions and would love comments, feedback and ideas! I too love this analogy! So few people understand that what you put into your body is what you get out. The herd mentality of everyone is almost disheartening. Do they not realize that just because everyone else is eating it and it’s widely available in super markets does not make it good for you. They put to much faith in government organizations and eat the wrong things. When discussing with my family our eating habits I always get friction from my father. He gives me the “We have been eating this way for years and we aren’t dead yet” lecture. I keep trying to explain to him that the food we are buying and consuming today is nothing like the food he grew up on or that we have been eating for year. It’s too industrialized and chock full of chemicals. had we all been eating like this for generations, we would notice the majority of people are sick, dying and infirm. 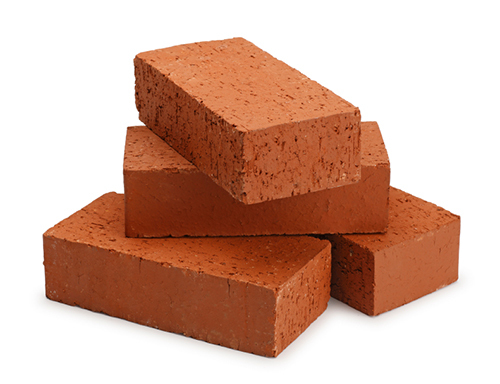 We all need to return to the traditional diet and build ourselves up with bricks. I am only about 3 months in on my real food journey and loving ALMOST every minute of it. It has struck a cord so deep within. My children are 10 and 13 and I didn’t know any of this when my children were younger or pre conception. In spite of that they have perfect teeth with no cavaties and seem to have plenty of room in their jaw though my son has developed a slight under bite. We do have learning issues though but their father has been ADHD his whole life and he grew up on a very “real” diet in El Salvador. I have assumed that part of things was genetic. Also, I was born only ten and a half months after my brother. We were both formula fed and obviously were fed the same meals etc,. I grew up with no cavaties, my brother was riddled with them every time we went to the dentist. I almost never became sick and my dad said I was his girl that never got sick. My brother had horrible skin allergies to many foods. I’m trying somehow to make this all make sense according to what I’ve been researching and it just doesn’t. Any thoughts would be appreciated.